No dialogue, no story, just sheer beauty. 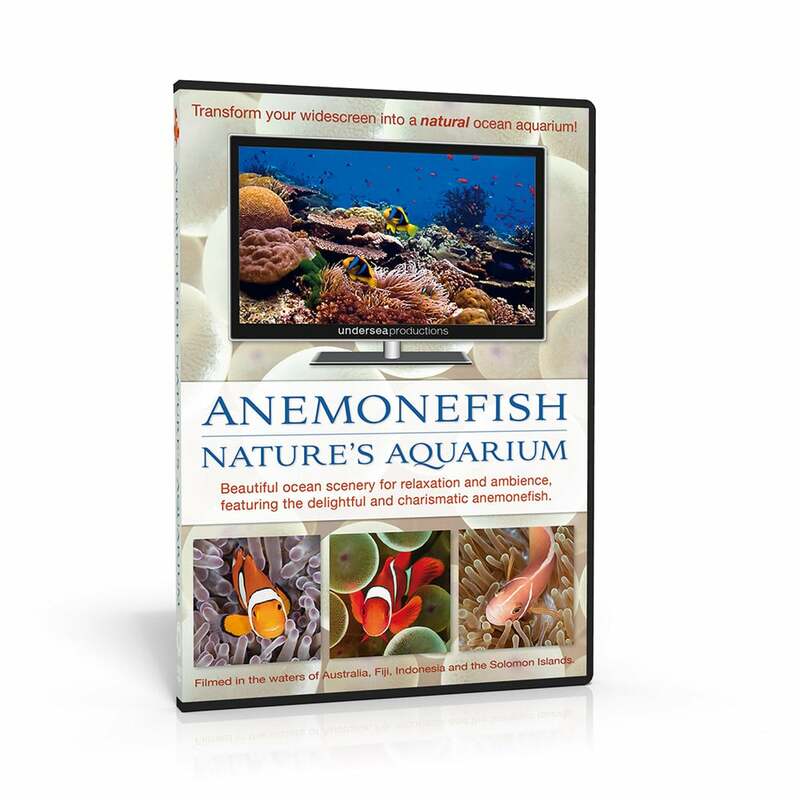 Anemonefish: Nature’s Aquarium takes the aquarium DVD concept to the next level because it wasn’t filmed in a fish tank — instead, it was filmed in the tropical waters of Australia, Fiji, Indonesia and the Solomon Islands. 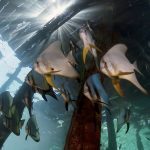 It transforms your widescreen into a natural ocean aquarium! Enjoy an hour-long collection of beautiful, seamlessly unfolding ocean scenes each featuring the delightful and charismatic anemonefish (clownfish). Coral reefs, sandy slopes, rocky ledges and a myriad of other tropical seascapes serve as natural backdrops and habitat for the colourful array of anemonefish. 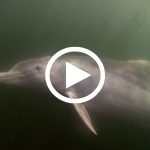 Professionally filmed using high-end optics for outstanding picture clarity, the stationary camera delivers a well-crafted and peaceful “aquarium” feel. 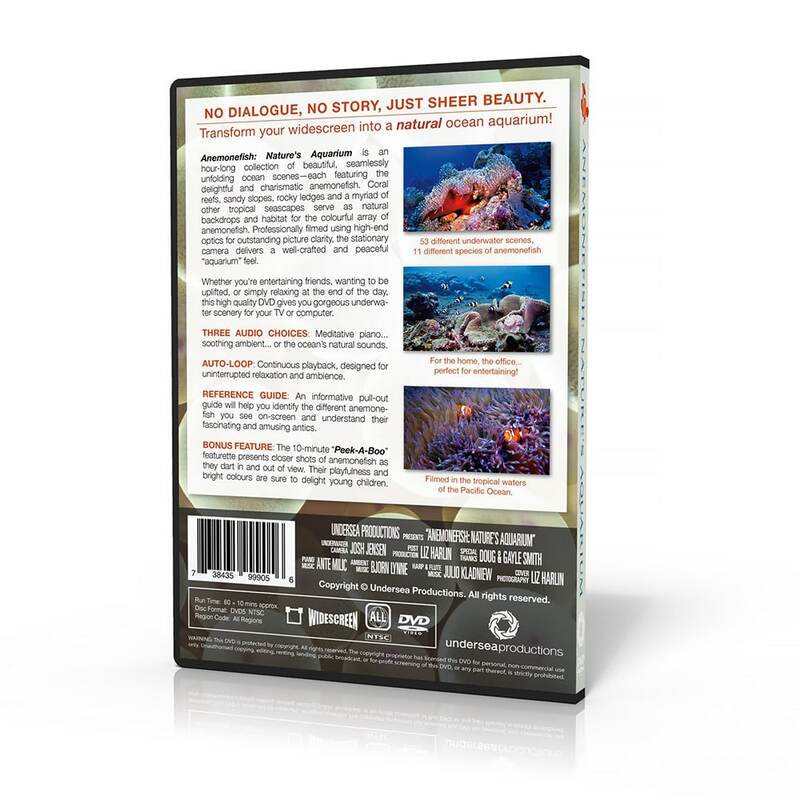 Whether you’re entertaining friends, wanting to be uplifted, or simply relaxing at the end of the day, this high quality DVD delivers gorgeous underwater scenery for your TV or computer. The DVD can be looped for continuous playback—designed for uninterrupted relaxation and background ambiance. An informative pull-out guide will help you identify the different anemonefish you see on-screen and understand their fascinating and amusing antics. 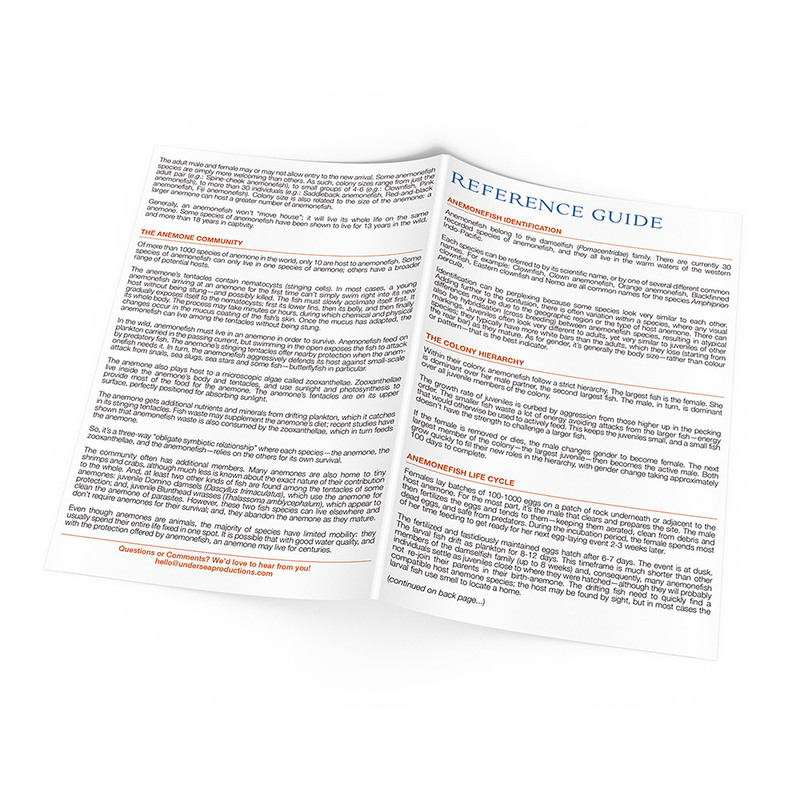 The guide includes line drawings, descriptions and helpful information to give you insight into the world of the anemonefish. The 10-minute featurette, Peek-A-Boo, presents closer shots of anemonefish as they dart in and out of view. Their playfulness and bright colors are sure to delight young children. 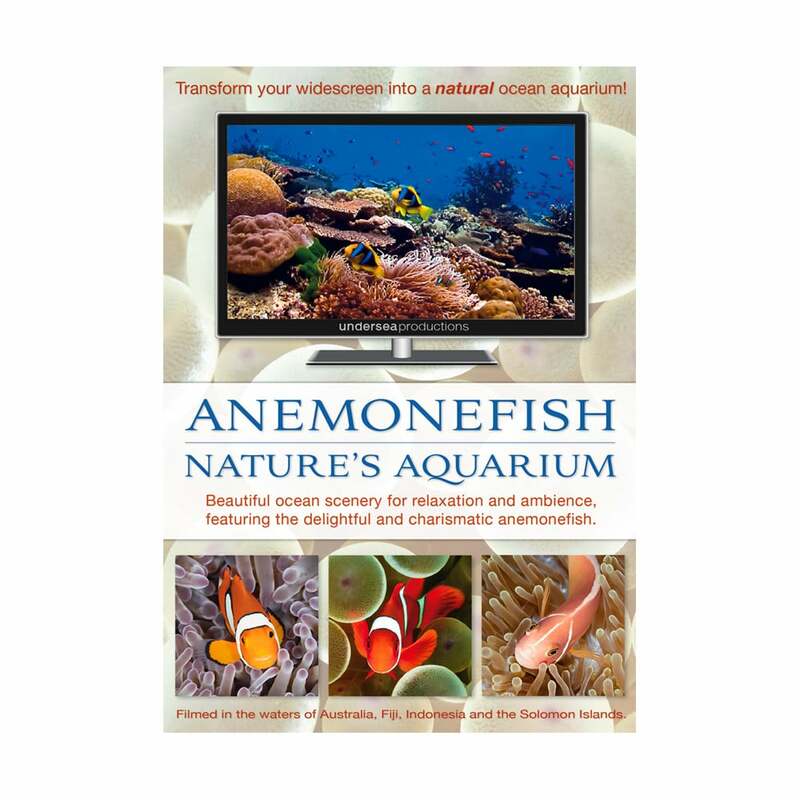 The package includes an informative pull-out guide will help you identify the different anemonefish you see on-screen, and learn about their life and behaviour. 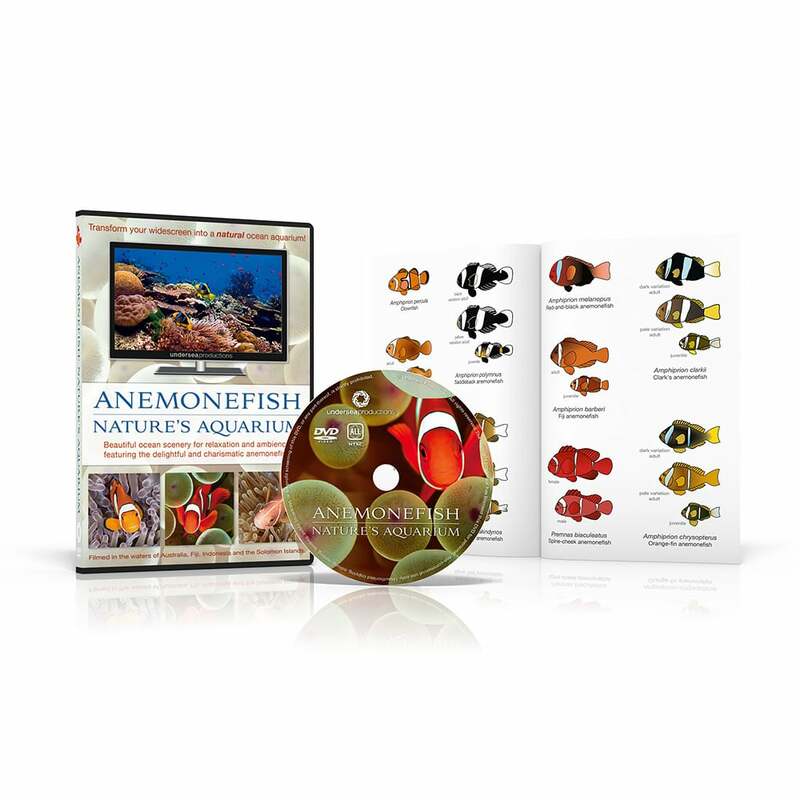 The main feature of Anemonefish: Nature’s Aquarium is available as a High Definition download (buy or rent) from Amazon.com, Amazon.co.uk, Amazon.de, and Amazon.co.jp. Beautiful and peaceful. We use this DVD in our waiting room, it creates a calm mood. We play this when we want to chill out. There are numerous scenes, from bright corals to deep sea. I love this DVD.